Kids stuck inside for the day? Bring the beach to them! 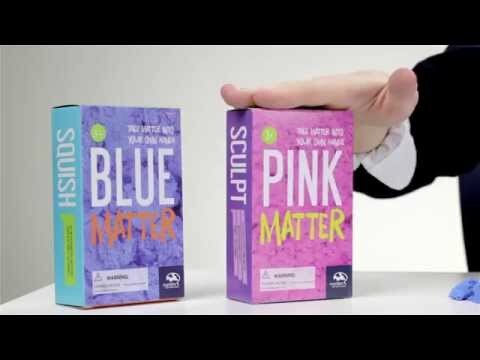 If your kids love to play and build things with sand, then Blue Matter is a great alternative when they are stuck inside the house on a cold or rainy day. They can pretty much build anything with this non-toxic, light-weight building sand… the only thing stopping them is their imagination. The great thing about this sand is that they can mold it and shape it into whatever form they want and it never dries out! It’s a cheap craft idea that will bring them hours of fun. Looking For Other Cheap Craft Ideas? Check out our other great arts & crafts gift ideas!